Storytime bliss from a master of quirky humour. Laugh out loud with the coolest cat in history! It’s too wet to go out and too cold to play ball. Sally and her brother are stuck doing nothing at all. But when the Cat in the Hat steps in on the mat, magic and mayhem await them! (And so does a BIG MESS. Let’s hope it gets cleared up before Mum comes home…) Crazy rhymes, funny pictures and silly adventures. 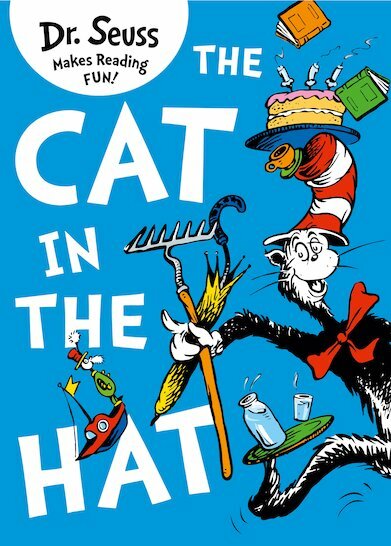 Join the Cat in the Hat on a rollercoaster ride into FUN!